Wendy Lane and Tapestry Books Resource Associate Christopher Fancher recently had a chance to share information about their respective initiatives with many child welfare professionals. As a New York State Authorized non-profit adoption agency, Adoption STAR works closely with the New York State Office of Child and Family Services (OCFS). Adoption STAR staff has regular meetings with OCFS representatives, as they oversee the agencies work and re-authorize us to provide adoption-related services to adoptive parents, birth parents and adoptees. At two separate meetings last week, OCFS’ Buffalo Regional Office invited Wendy Lane and Tapestry Books Resource Associate Christopher Fancher to be guest speakers. Thank you to Wendy, Chris, and the staff at OCFS’s Buffalo Regional Office for the opportunity! 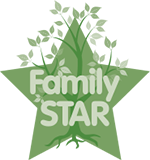 Family STAR and Tapestry Books have so much to offer, and now child welfare professionals across Western New York are more “in the loop” regarding how these programs can benefit families in need of services or information. The post Sharing Resources appeared first on Adoption STAR.